“Far more than a book about how to care for a horse, though it stands out as one of the best on the subject . . . beautiful” (Susan Richards, author of Chosen by a Horse). This unique guide to horsemanship incorporates Eastern philosophy to describe how horses understand and respond to the flow of vital energy around them, and how they use this energy, called chi, to communicate with their herd, express dominance, and sense predators. 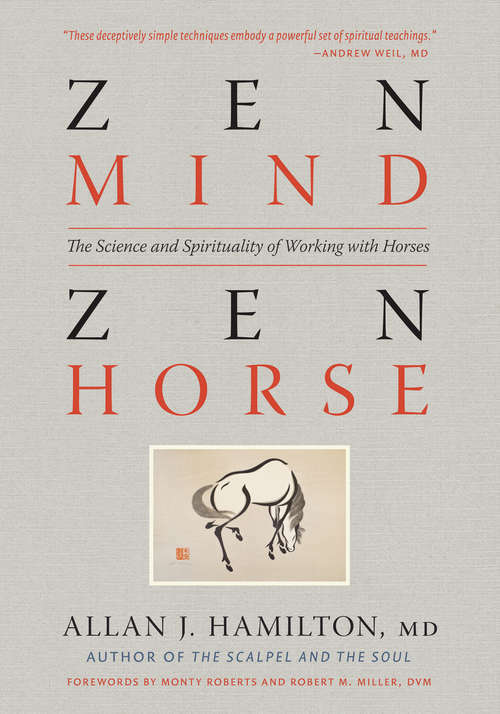 Written by the award-winning author of The Scalpel and the Soul, and including forewords by Monty Roberts and Dr. Robert Miller, Zen Mind, Zen Horse shares safe, simple techniques to make you more receptive to your animal’s chi, so you can develop a calm and effective training style that will not only help your horse follow commands, but strengthen the spiritual bond between horse and rider.